Across Vancouver there is a new generation of locally based jewellery designers who are sprucing up the old craft, with their gorgeous designs, timeless collections and fashion forward statement pieces. Having recently unveiled their newest fall/winter collections, here are seven Vancouver-based jewellery designers that you really ought to know! Drawing inspiration from the beautiful spiral stone stairs of Antonio Gaudi’s Sagrada Familia in Barcelona, designers Neil Prakash and Hiroko Kobayashi have produced an utterly stunning handcrafted collection that explores both shape and form with elegant precision. With their architectural backgrounds, Prakash and Kobayashi have applied the same design concepts and principals that they use in architecture to their jewellery making process. Their designs are beautiful, minimalistic and sophisticated. hk+np studio are now selling their jewellery at select locations across Canada, and can be found in Vancouver at the Vancouver Art Gallery, WALRUS and INFORM Interiors. For more information visit www.hkplusnp.com. Talk about the new kid on the block. Officially launching on October 22 of this month, Amanda He of Poppy Finch is the latest designer to step onto Vancouver’s jewellery design scene. Producing a range of contemporary fine jewellery Poppy Finch’s designs are centered upon classic styles, with a modern twist. As such, the collection has a timeless appeal and covers all the bases. Comprising of rings, earrings, ear cuffs, necklaces and bracelets, the Poppy Finch collection has some truly gorgeous, unique and desirable pieces. Poppy Finch offers custom-made jewellery based on choice of metal, size and or stone. For more information visit www.poppyfinch.com. 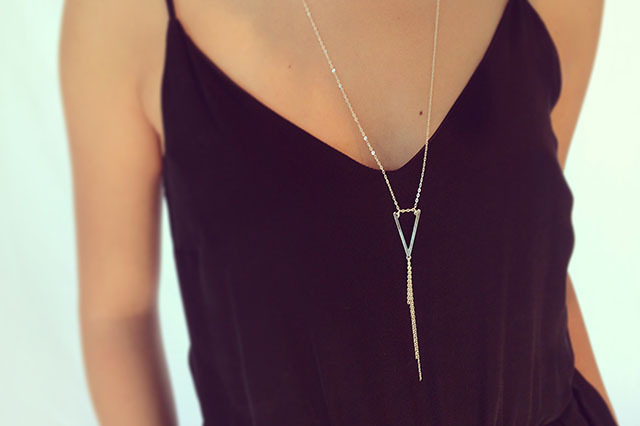 Leah Alexandra is a Vancouver-based jewellery designer who over the past few years has made quite a name for herself. Her classic yet modern inspired designs have not only been a huge hit with the everyday woman but have also caught the eye of Hollywood celebs like Jessica Alba and Reece Witherspoon, who have both been known to adorn themselves with Leah’s designs. Using sterling silver, 14 karat gold fill, 24 karat vermeil and carefully hand-selected gemstones and freshwater pearls, Leah’s jewelry is timeless, chic and versatile. 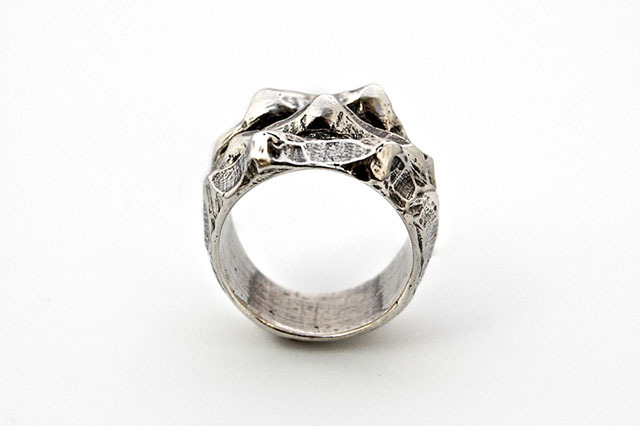 All Leah’s designs are hand-made right here in Vancouver, in her Gastown studio. To view Leah’s new fall collection and for more information visit www.leahalexandra.com. 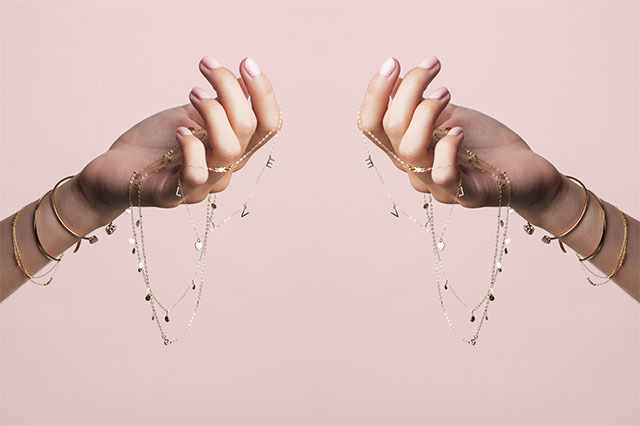 The Vancouver-based duo behind Isla Found (Roshni and Lindsay), make the sort of jewellery that appeals to any woman seeking to compliment their modern wardrobe. Simple and feminine with an understated elegance Isla Found’s exquisitely designed and made pieces embody a strong yet simple balance of form. The six design ‘families’ within Isla Found’s 2015 collection were released last month and reflect a mixture of organic and geometric inspiration, think subtle patterns and bold lines. For more information visit www.islafound.com. Modern, stylish jewellery is what you can expect to find in the collections presented by Catherine Hartley. Having lived in both Vancouver and Mayne Island, Catherine is strongly influenced by her surroundings and focuses on rough architectural form and volume. Along with her handcrafted collection (an impressive array of cuffs, rings, necklaces, earrings and sculptural pieces), Catherine also specialises in one-of-a-kind and custom-made items. 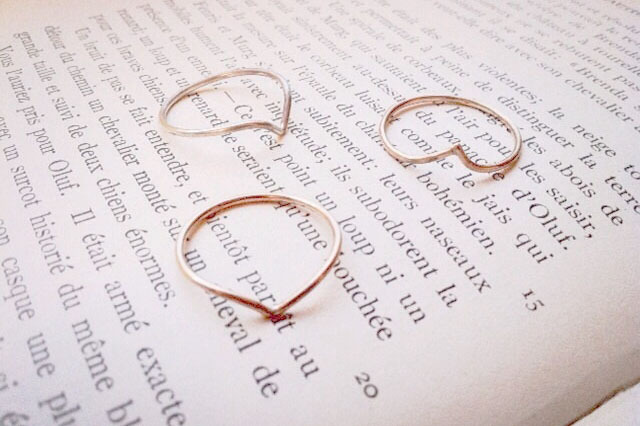 Catherine will be launching a small collection of fine jewellery in late November. This collection will feature precious gems and 14 karat gold, and will also include some limited edition pieces. For more information visit www.catherinehartley.com. 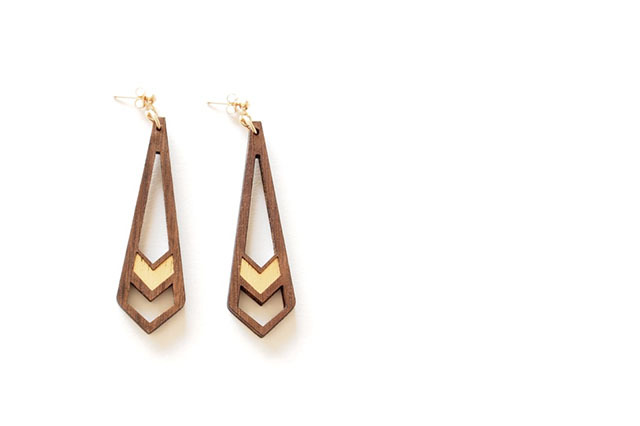 Henderson Dry Goods is the work of Alex Henderson, a Vancouver-based jewellery designer. Working almost exclusively with wood and using a mixture of handcraft and new production techniques such as laser cutting, Alex creates engraved jewellery and an assortment of items for the home; mirrors, clocks and frames. Operating out of her Vancouver-based studio, Alex bases her designs on the central idea of creating “fine wood jewellery”, and often looks to antique jewellery for inspiration for her motifs. Alex also draws inspiration from the art deco era and emulates the period’s fantastically bold designs and shapes in her work. Using gold, silver or copper trimmings, Alex achieves a striking contrast between wood and metal, as well as a beautifully refined looked. For more information visit www.hendersondrygoods.com. Foe and Dear Jewellery is a collection of delicate, handcrafted, one-of-a-kind pieces, made with precious metals and rough stones. Rough stones are a Foe and Dear favourite for their unique characteristics and the way in which they add ‘roughness’ to such delicate pieces. The collection which consists of chains, charms, rings and bracelets is inspired by all things minimal and classic; architecture, iconography, with a bit of femininity and romanticism. Designer, Katherine Huie, created Foe and Dear in her teeny tiny Brooklyn apartment during the summer of 2009. Now currently based out of Vancouver, Foe and Dear has made a name for itself in the fashion industry and is being carried by boutiques all across the country. For more information visit www.foeanddear.com.